No matter what body type you are or the level of activity you do, a good run does wonders. Most of us run for fitness, fun, stress relief or even for a living. Even the world’s fastest runner, Usain Bolt, will not deny the fact that running is a high impact aerobic exercise and many injuries could be associated with it. 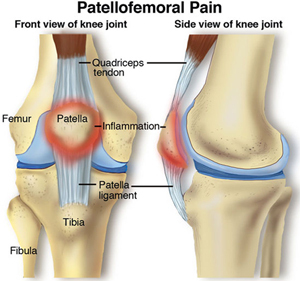 Simply put, it is not uncommon for some to experience some sort of aches and pains in your knee after running. One of the most common knee injury affecting people is “Runner’s Knee”. Though this condition is associated with running, even normal people who engage in knee workouts could be affected by it. “Runner’s knee” is a term used to describe pain and inflammation in the front of the knee due to several factors. It is mostly believed to be a fault in the biomechanics of your body during the running process. Biomechanics is the study of the structure and function of body systems when forces are applied. In simple words, when you run, the foot impact creates a force that transfers upwards to your knees. The force meant to propel you forward is about 2 to 3 times your body weight. To prevent this force from directly impacting your knees, correct posture and placement of your foot is required. Together with coordinated contraction of your leg muscles to balance out these forces. Muscular imbalances, tightness and stiffness around the knee. Malalignment of your joints affecting the correct heel placement. For example, poor posture or runners with flat or high-arch feet. Over- activity and weakness in the leg muscles. 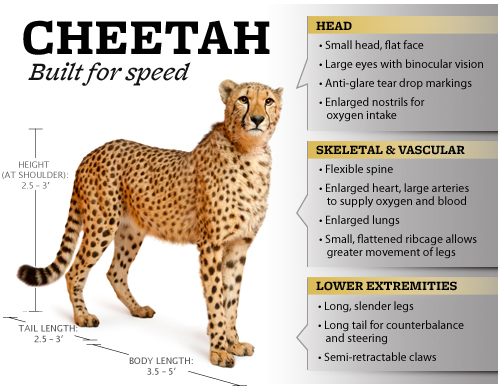 Experts researching on Cheetahs are amazed at their genetics and want to pass along few tips that you could implement. Many shoe manufacturers have realized the importance of shoes for performance and have responded by giving us a range of options. Warm-up exercises will prepare the circulatory and respiratory system for the upcoming workout. It also improves the flexibility of your muscles whether it’s just walking or running. On the other hand, cool down exercises help you to gradually lower your heart rate and blood pressure as well as restore the flexibility of your muscles. By skipping them may cause muscle aches and pains after the run. You want to avoid any restrictions on your movement while running. Improve the range of motion of all the joints and reduce the risk of any muscle strains. Poor posture creates imbalances in your muscles and restricts the circulation of blood to them. Over time, it may reduce the oxygen supply which may affect overall health. Therefore, posture is one of the things we try to correct as much as possible. Normally you should land with your feet right under you. Over- striding is increasing your stride length over your normal capacity while under-striding is the exact opposite. This happens when you are not bending your knees enough maybe due to tightness in your muscles, joint stiffness and/or poor circulation in your legs. Moving with long steps while you run is great! But you may want to consider the number of strides to be maintained about 85-90 per minute with each leg. You could use a digital metronome to record and regulate your strides. It will truly help you recognize any restrictions, tightness, faults in your posture that need fixing. You will be amazed how your body adapts to what your brain knows. You can control your body movements and speed just by learning the correct body postures and foot placements. Muscles work together to cause a movement and running involves co-ordination of your upper and lower limb muscle groups. Any fault in this co-ordination will impose great stress and cause muscle imbalances. Running being a high impact aerobic exercise requires a great amount of oxygen supply to your muscles to produce energy. 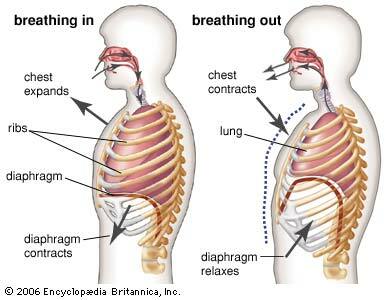 “Diaphragmatic Breathing or Belly breathing”- Breathe deep from your belly, see your stomach rise out as your diaphragm contracts. Practice this technique at rest or while running, it will surely help! Every person is unique and we need to look at what our body requires. Whether it is tight muscles or faulty posture, you need to fix it before its too late. A safe run is what you want without worrying about injuries, you may want to consider meeting the experts to get a detailed assessment of your body before starting any physical activity.